A last will and testament represents the final wishes of a deceased person, and laws are in place to ensure that the instructions set out in the will are actually carried out. While these laws vary by state, you will find that every state regulates how a will is administered and who is responsible for it. After someone passes away, an executor is appointed to administer the estate. In some states, this role may be referred to as a personal representative or an administrator. 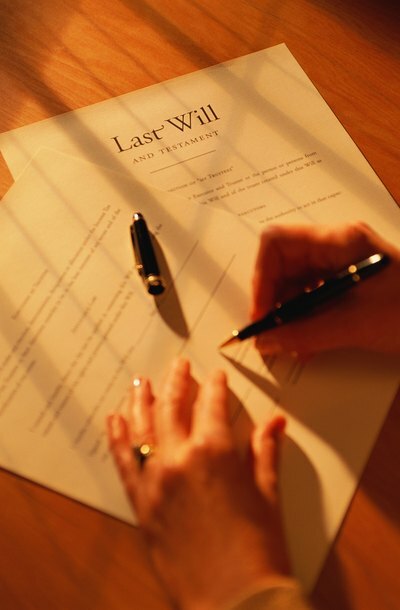 The deceased usually names the executor in the will, but if not, the court can appoint one. The executor can be a family member, a trusted friend, or a bank or trust company. The executor has many duties, including gathering all of the deceased's assets, paying creditors, filing tax returns and carrying out the deceased's wishes under the terms of the will. The executor must act in the best interests of the beneficiaries when carrying out the terms of the will. He may not put his own interests above those of the estate and must avoid any activity that could be construed as fraud. It may be considered a breach of the executor's fiduciary duty if he does not accurately disclose the assets of the estate or if he fails to carry out the terms of the will. In order to avoid potential legal liability, the executor should keep the beneficiaries informed and maintain records of all transactions. Many executors also consider hiring an attorney to help with the process. If the executor fails to carry out the terms of the will, a beneficiary may petition the court to have the executor removed. The court may remove the executor and appoint a new one if there is evidence that the executor stole from the estate or intentionally hid assets, refused to follow the terms of the will, or failed to maintain records showing that he actually distributed property as provided in the will. In some cases, an executor may be personally liable for not properly carrying out his duties. For example, if the executor fails to pay estate taxes, he can be responsible for any resulting interest or penalties owed. A beneficiary can bring a lawsuit against the executor if he sells, steals or otherwise mismanages estate property. If you have a claim against an executor or you are concerned that you have not properly carried out your duties administering an estate, it is best to consult an attorney. After an individual passes away, it is up to the executor to carry out the terms of the will as written by the testator. Also known as a personal representative, an executor has a number of legal responsibilities that ensure the decedent's wishes are carried out and debts and taxes of the estate are taken care of. Generally, the probate court follows the wishes of the testator. However, in certain circumstances, you may challenge the appointment of an executor. If an Executor Is Not Available Who Could Execute a Will? The executor is the person named in a will to administer an estate and fulfill the terms of the will, upon the passing of the will maker, or testator. However, a named executor may decline to take on the role of executor, or in some cases, may be deceased or simply unable to fulfill the role. A well-written will typically has provisions for these circumstances, or in the absence of these provisions, the court may intervene.